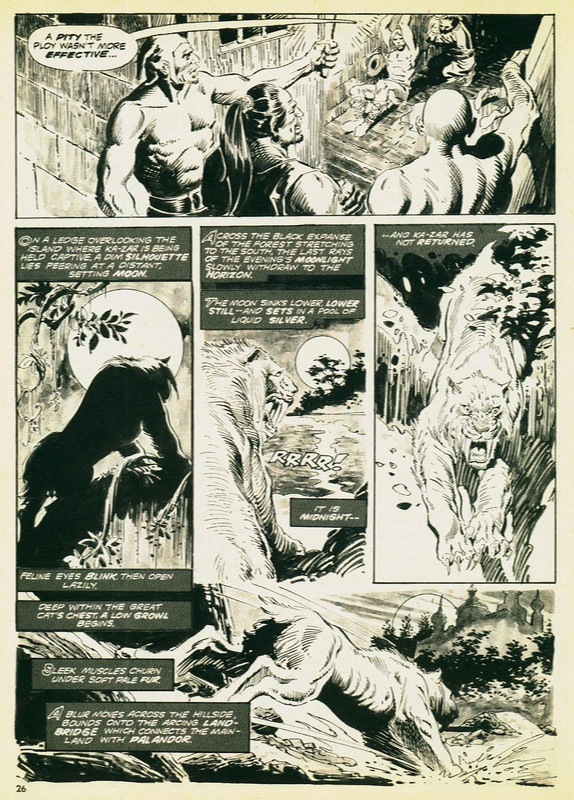 Always liked Ka-Zar. 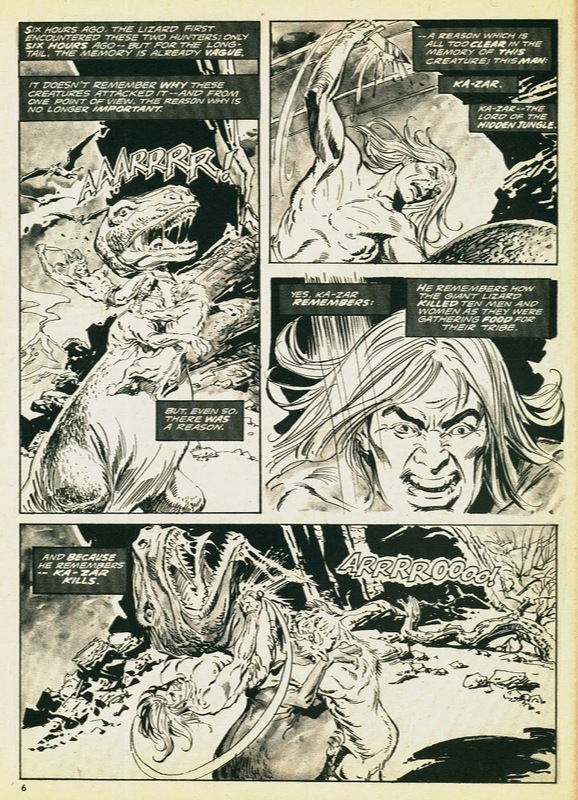 Dunno why, he really is just Tarzan with dinosaurs, but I always liked him. 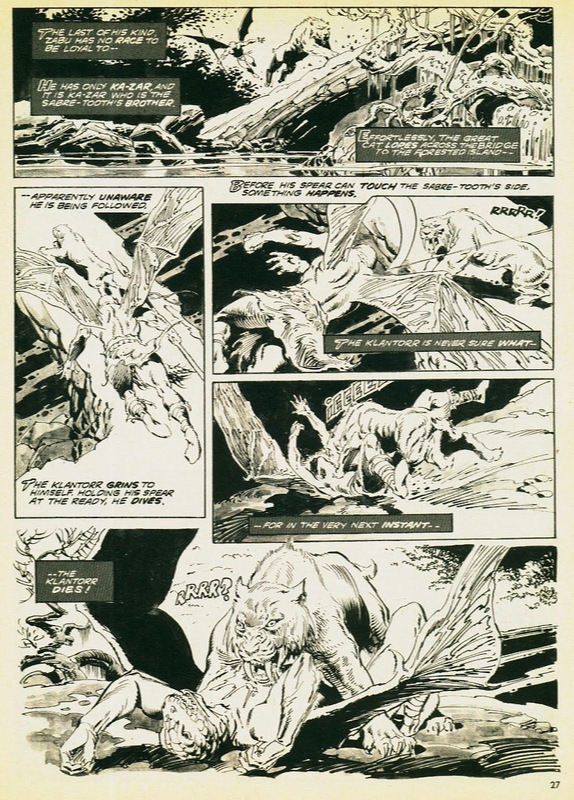 Maybe it's because of Zabu. 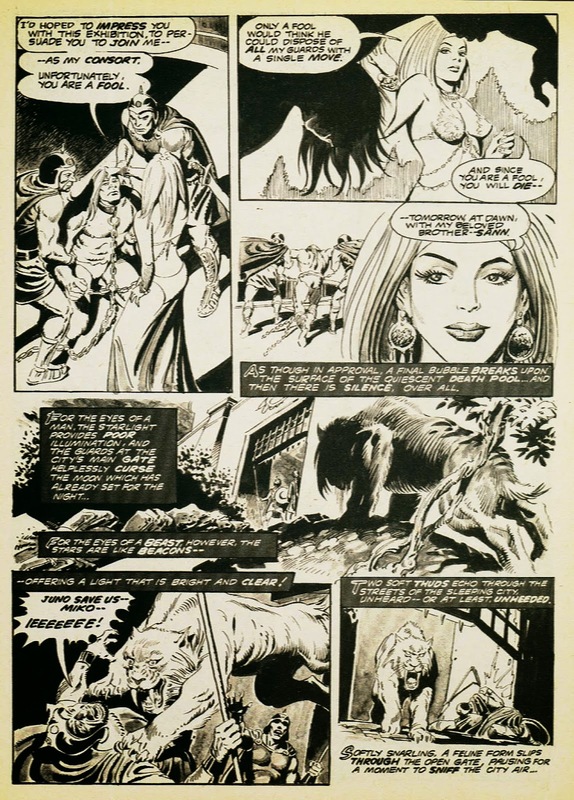 After all, any story about the adventures of a boy and his sabre-tooth tiger must have something going for it. 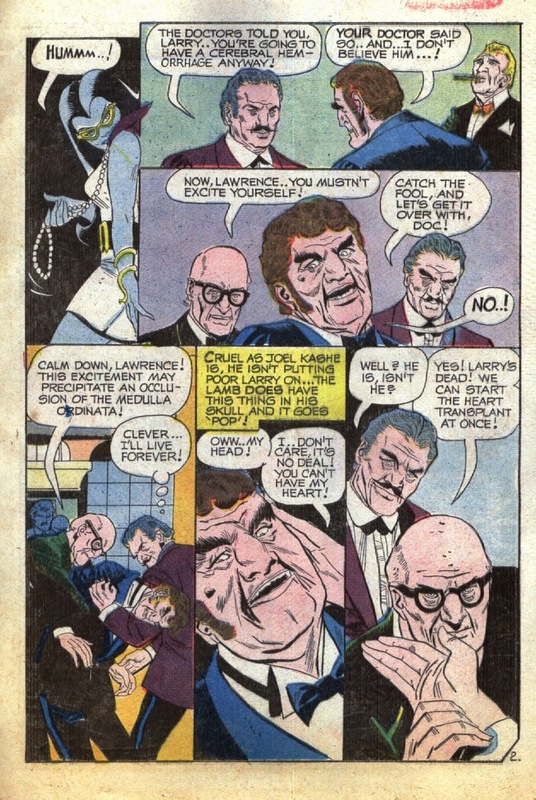 And sure, for the greater part of his career, Lord Plunder's dialogue consisted mostly of: Grr! 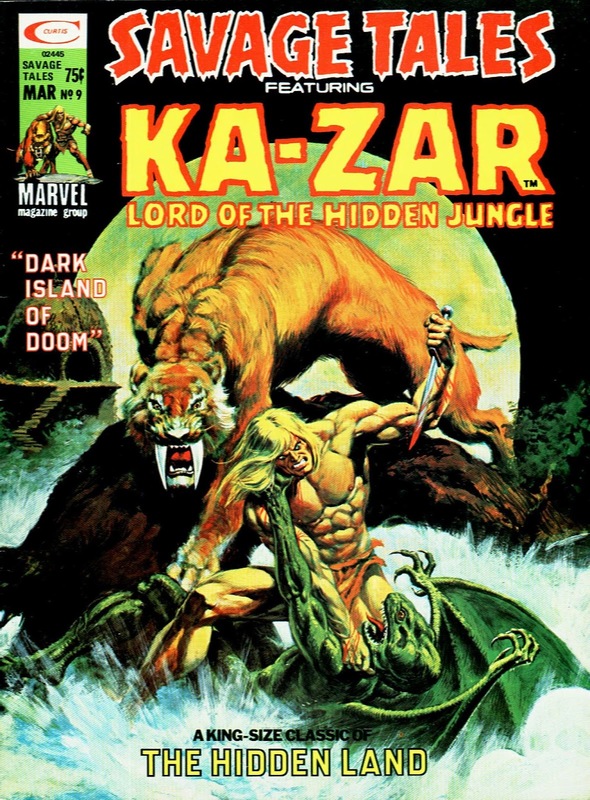 Ka-Zar kills! 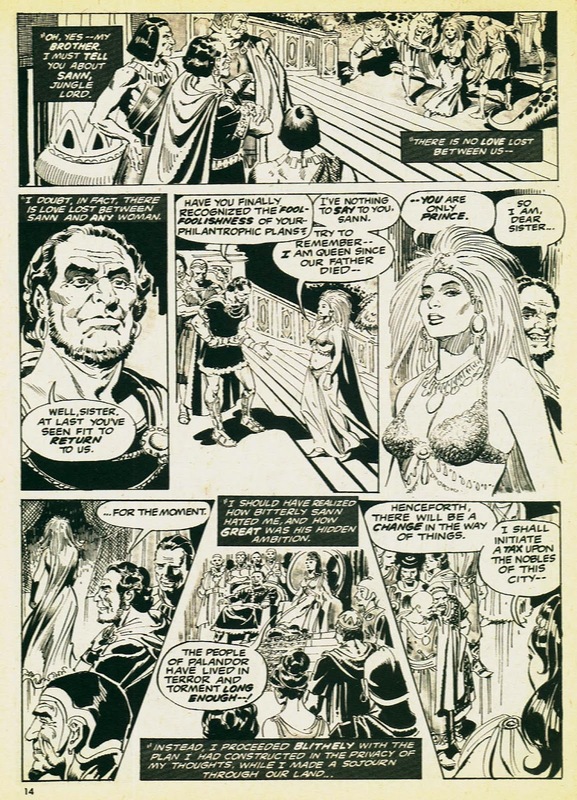 making him immeasurably less interesting than, by comparison, chattier barbaric heroes like Conan or Kull. 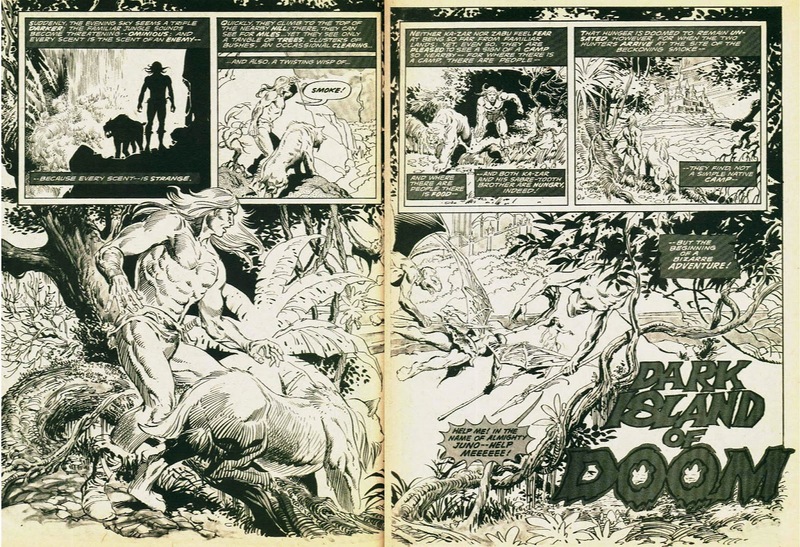 But still, it's always fun to spend some time in the Savage Land. 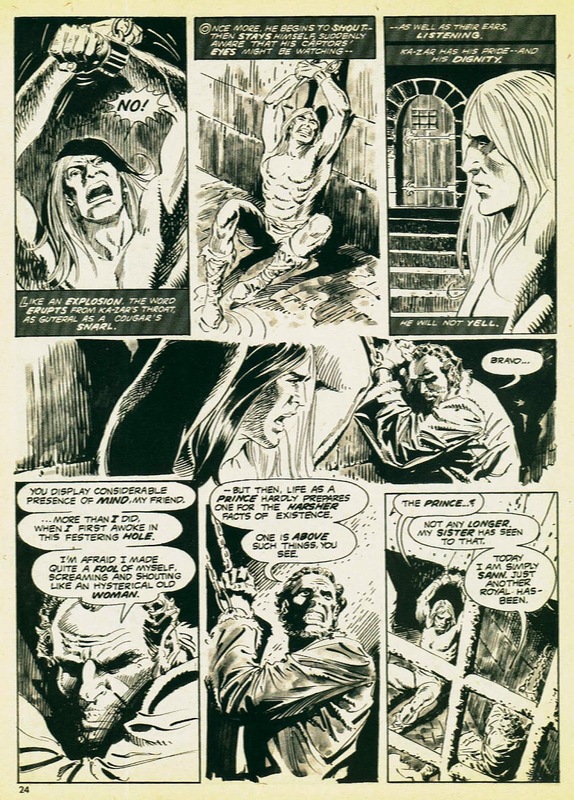 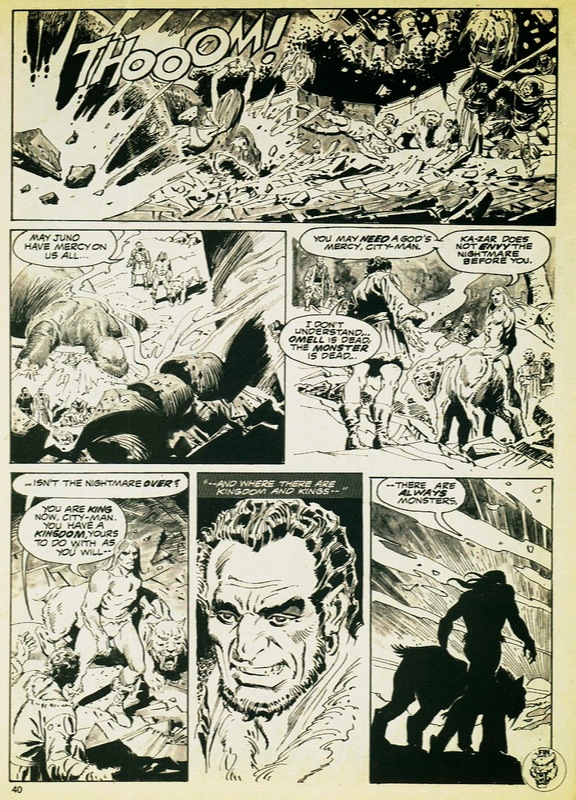 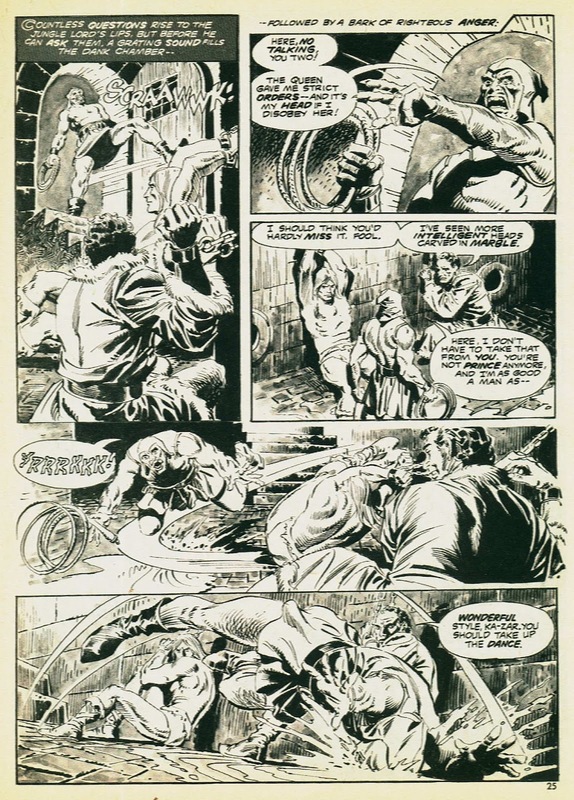 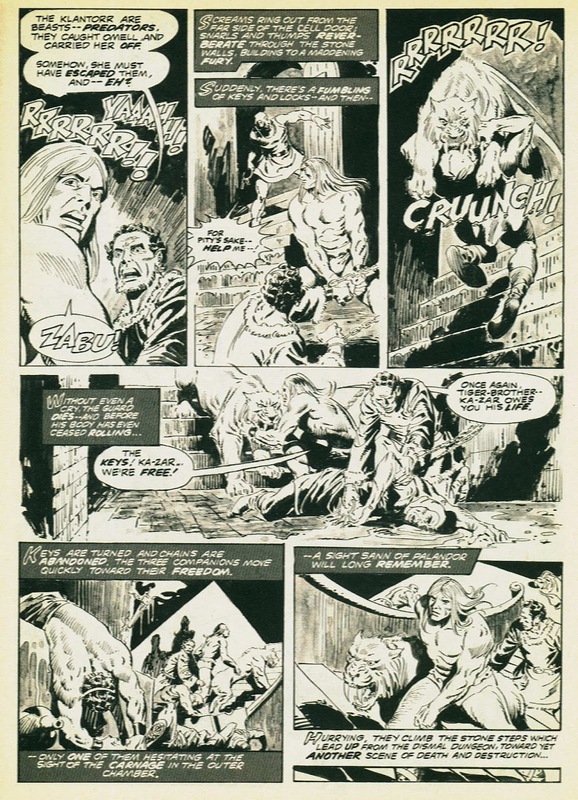 And there's some great Ka-Zar stories in his short run in Savage Tales. 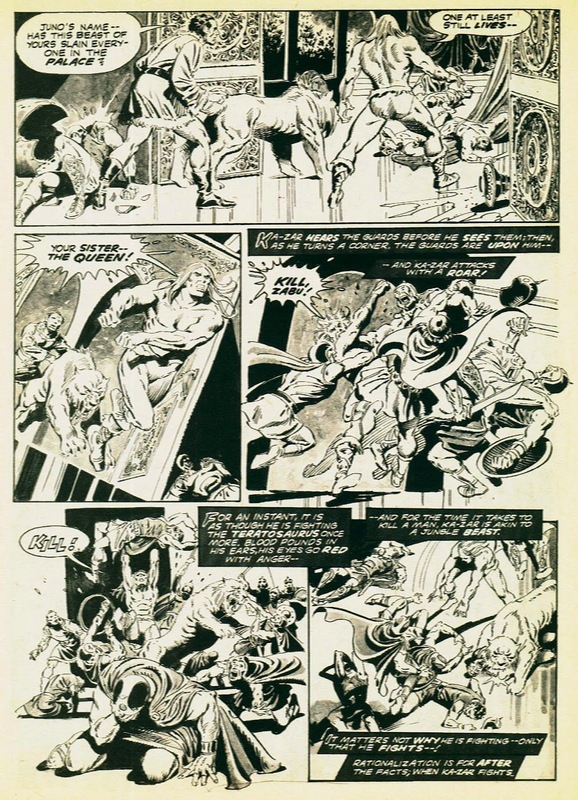 As I've said before, I absolutely loved the Marvel Black & White mags, there was just something extra special about them, particularly as I always seemed to get them when on vacation somewhere. 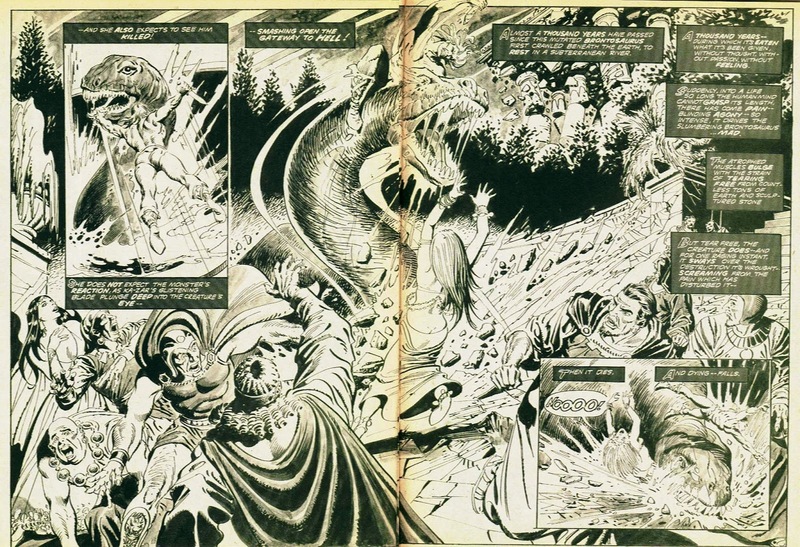 Like the reprint titles of Alan Class, it's like they were summer holiday comics. 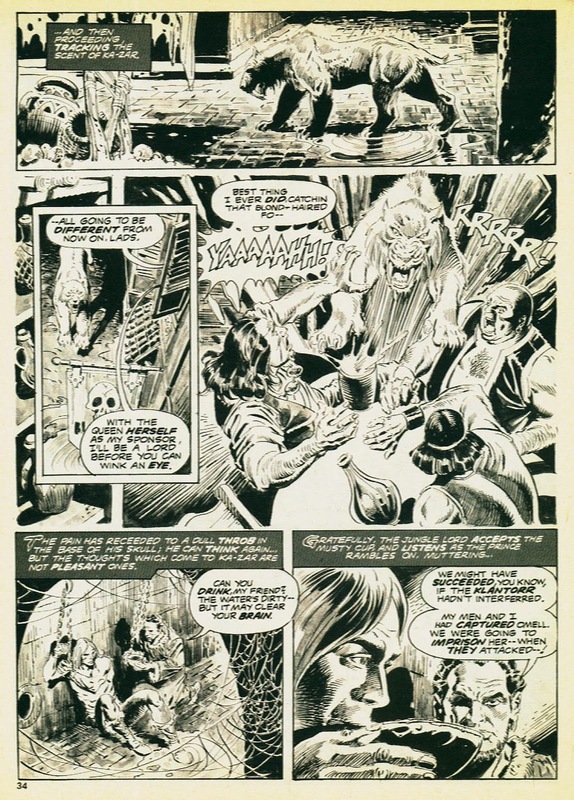 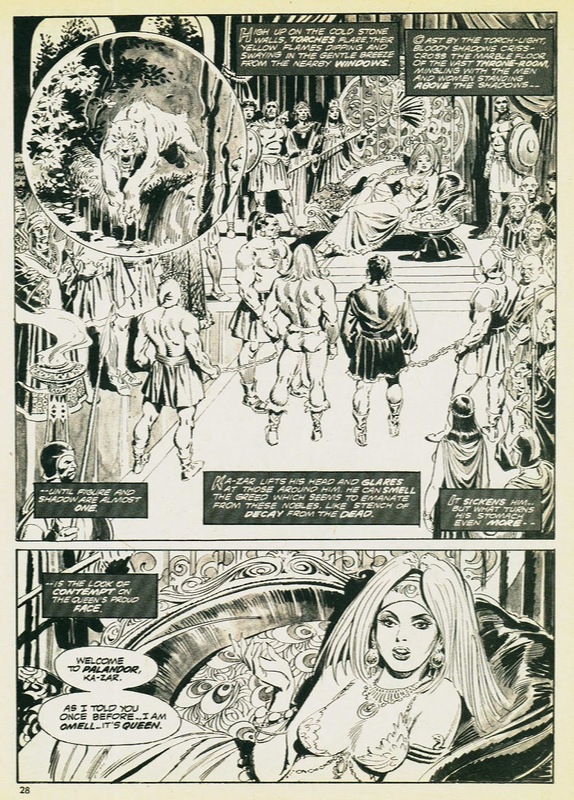 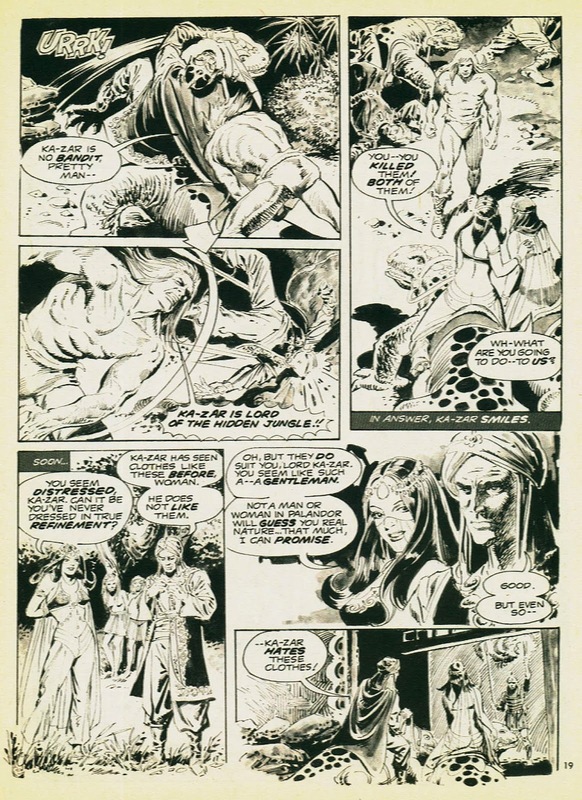 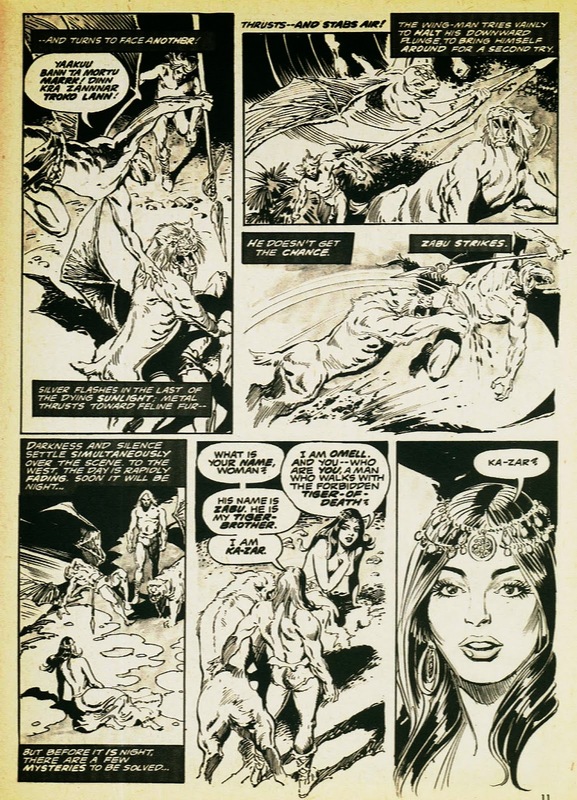 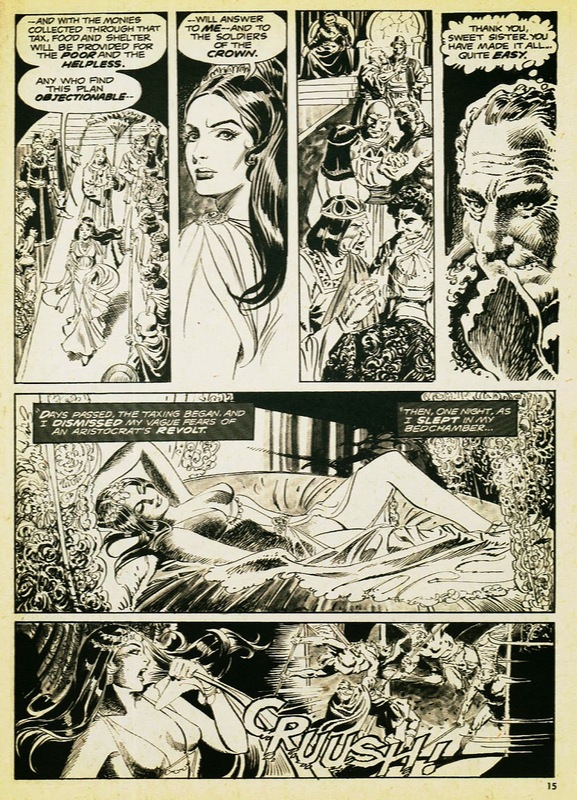 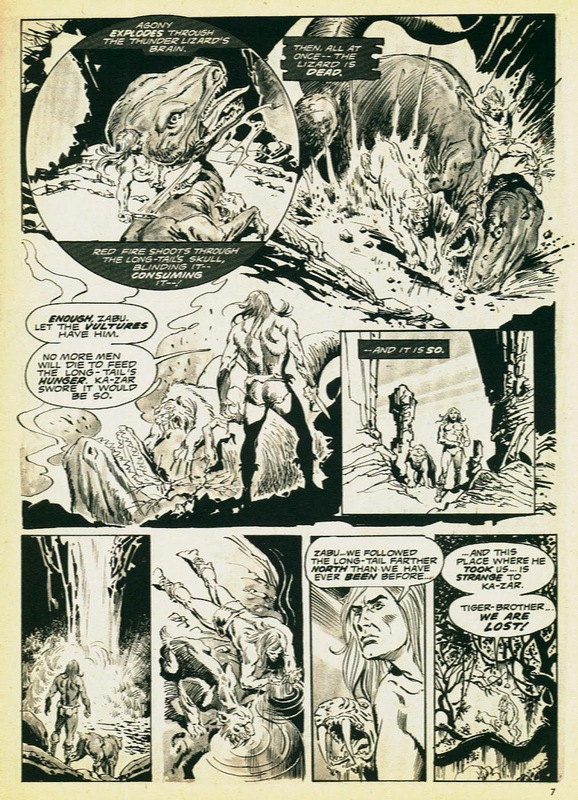 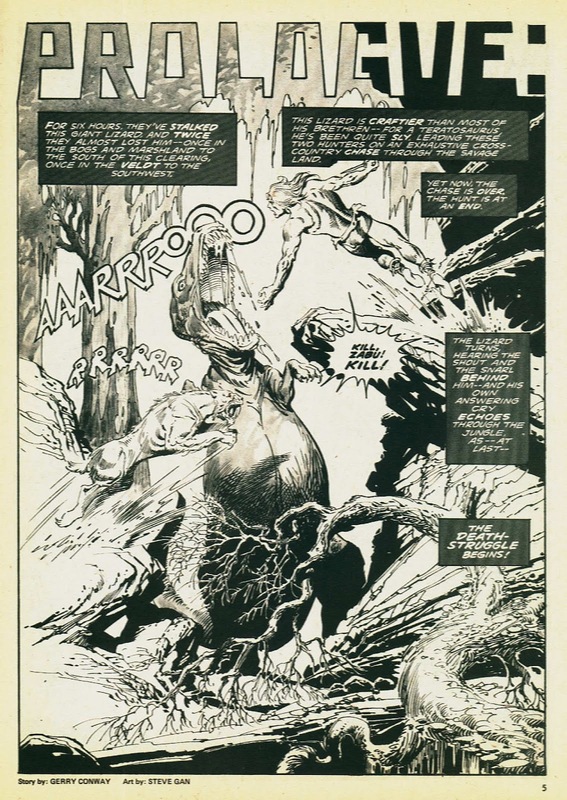 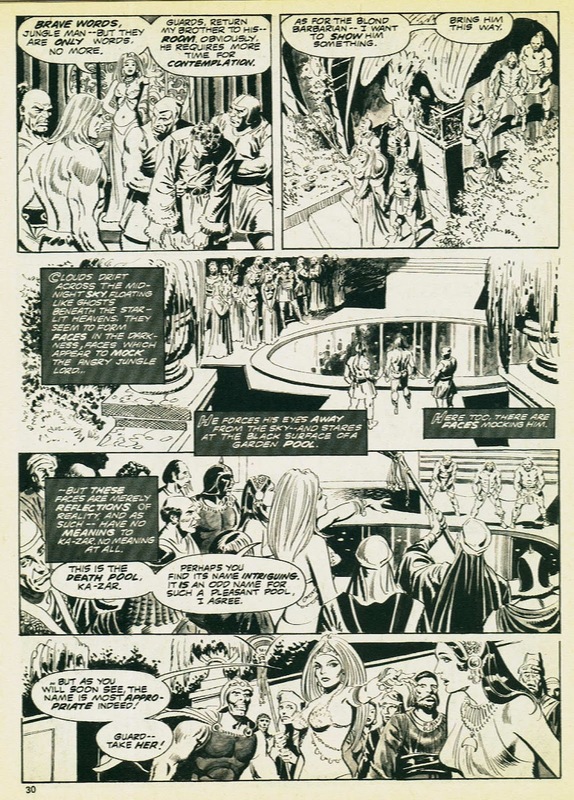 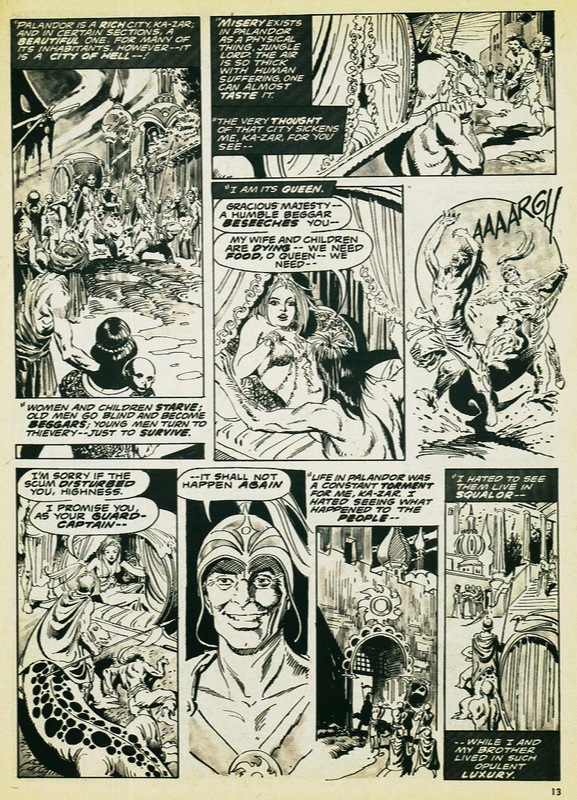 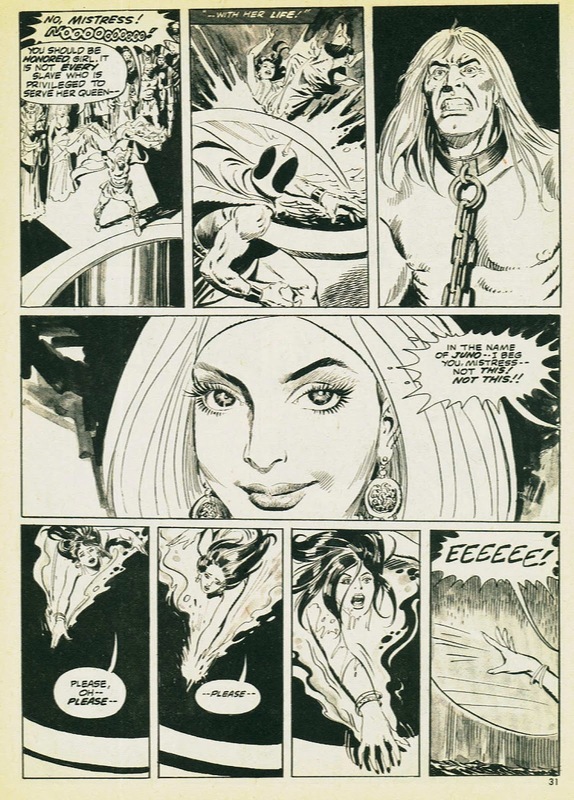 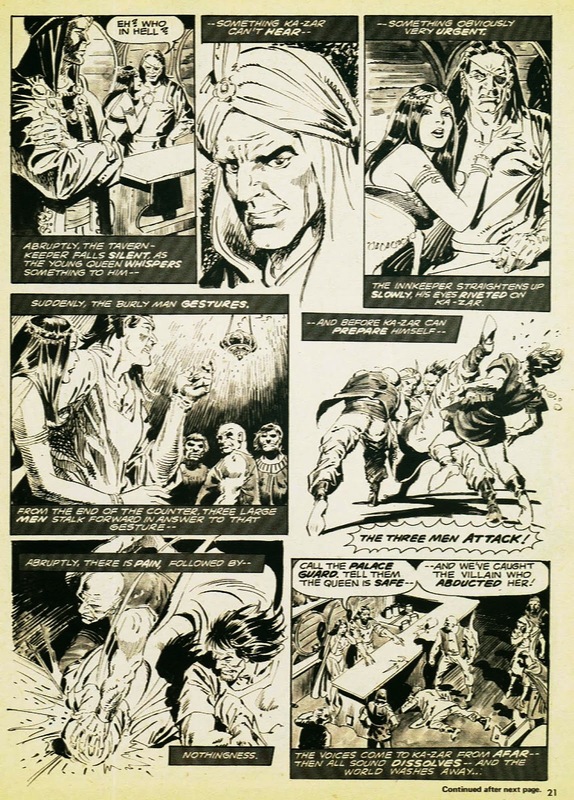 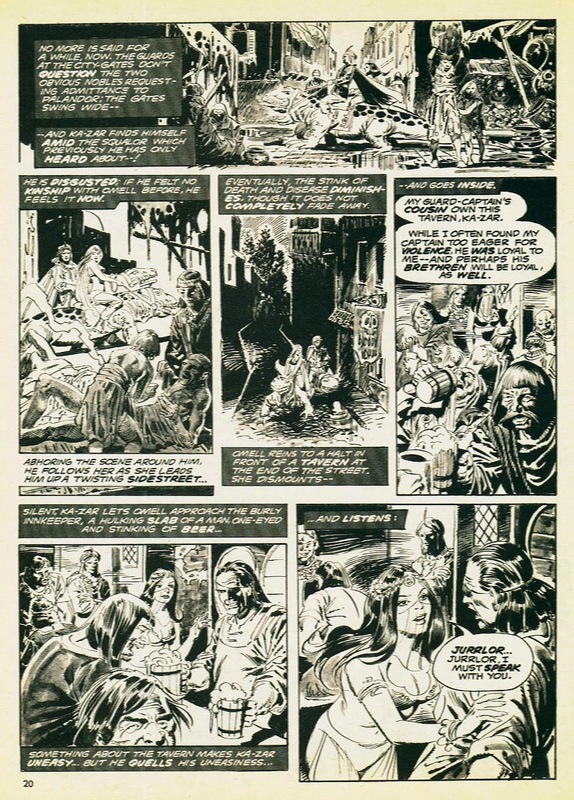 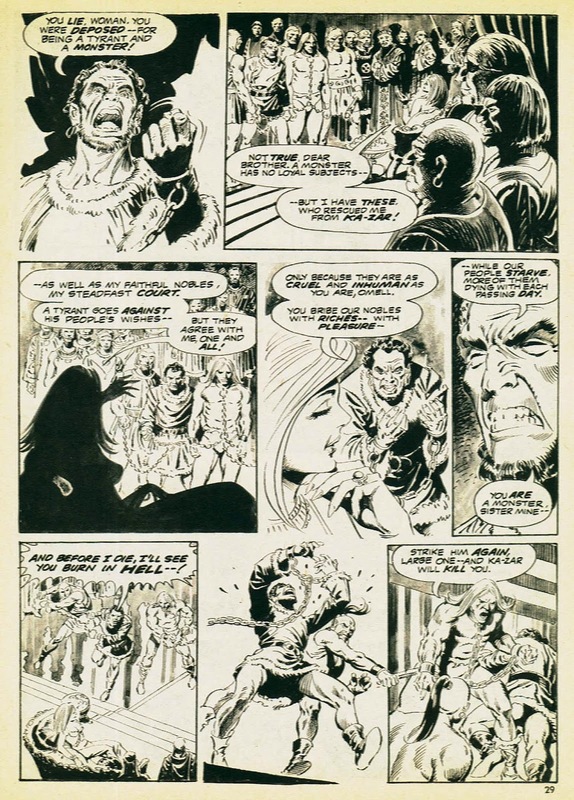 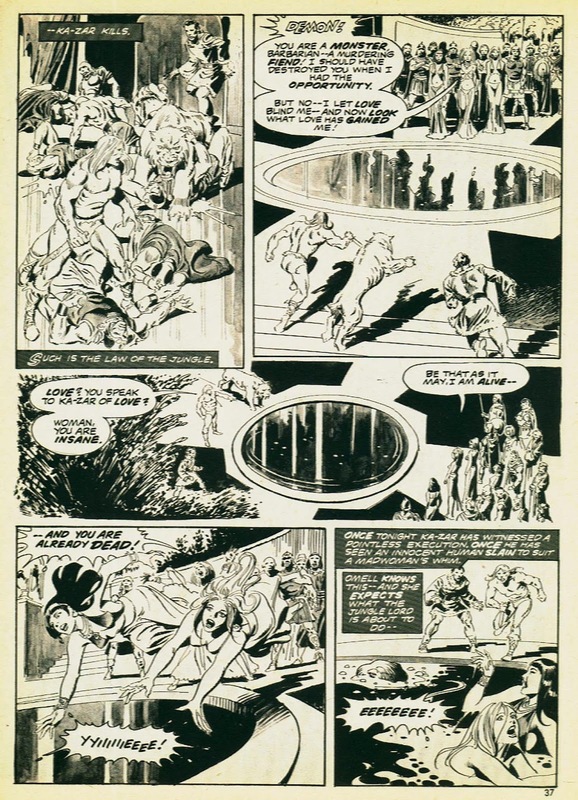 It also has a cheeky John Romita close-up insert you'll spot a mile away, and a masterful Roy Krenkel inspired art job from Steve Gan ( the man whose middle name is 'criminally underrated', poor guy ). 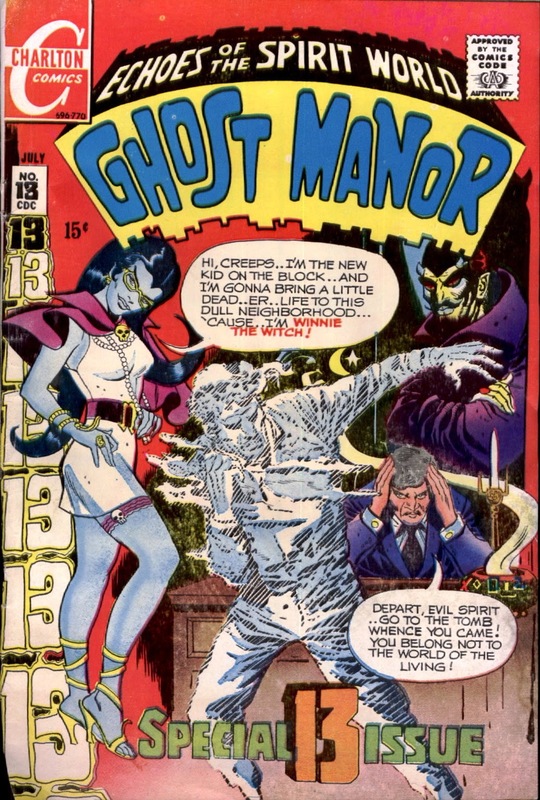 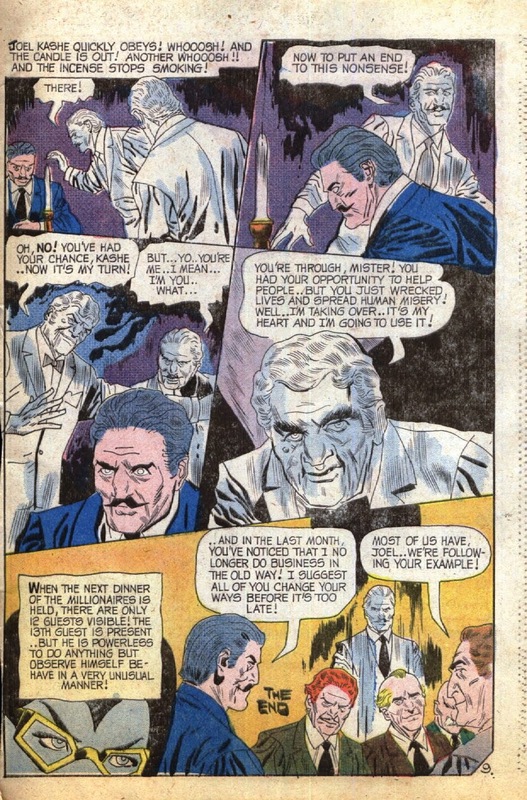 As I say, I love a mystery title with a cackling horror host or hostess, and Charlton had a graveyard full of 'em. 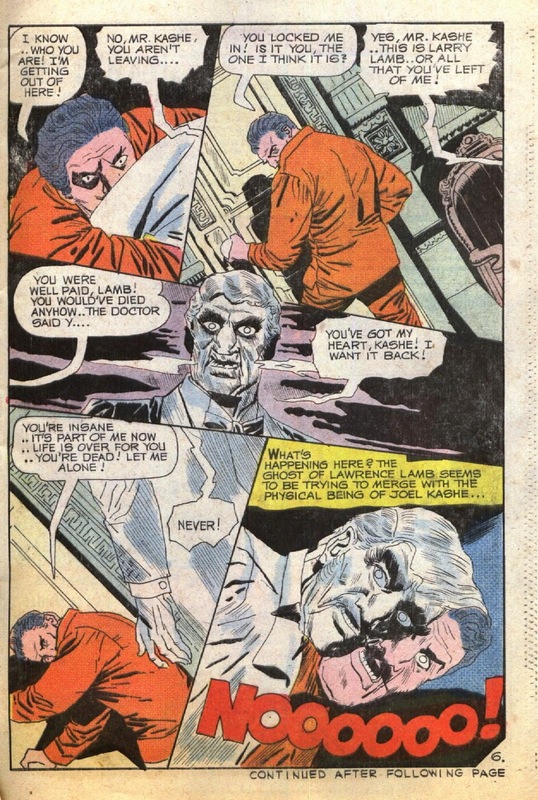 To me, it doesn't matter if the actual stories are a bit lame, as long as the framing sequences are good and the host is fun. 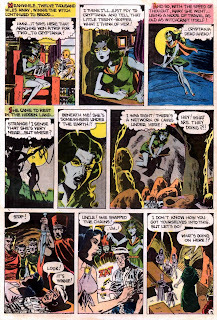 Winnie The Witch was sort of a presenter without portfolio, appearing in every Charlton mystery book at one time or another. 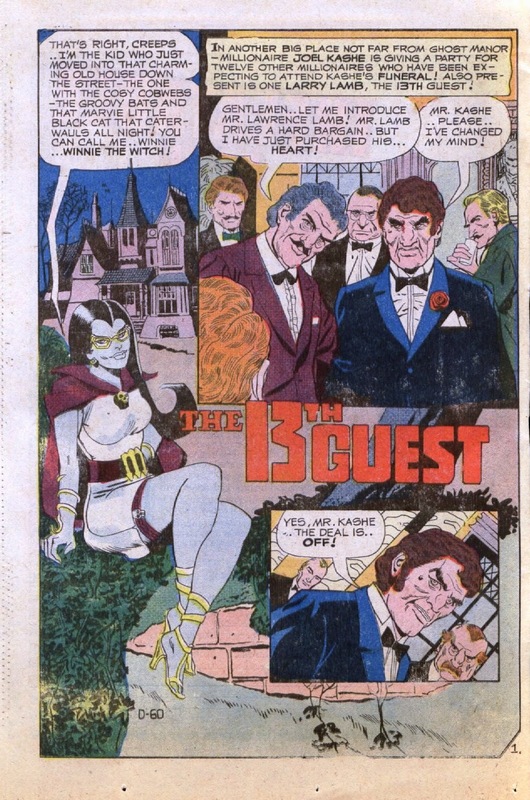 Ok, she has the single unscariest name any horror host ever had, but she does look good in a miniskirt, which is presumably why the artists preferred drawing her over Mr. L. Dedd, Dr. Graves or Mr. Bones. 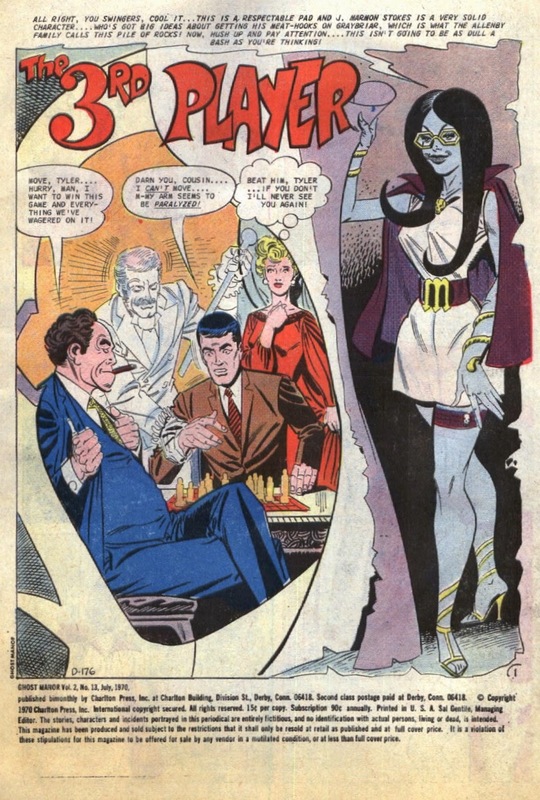 She's a hip and groovy practitioner of the black arts, constantly calling the readers 'swingers' in a way that suggests her dialogue was written by an out-of-touch white male over the age of 40, and if she doesn't pop up in the actual stories as much as you'd like, it is fun to see how cleverly the artists insert her in the page layout for no other reason than that she looks cool. 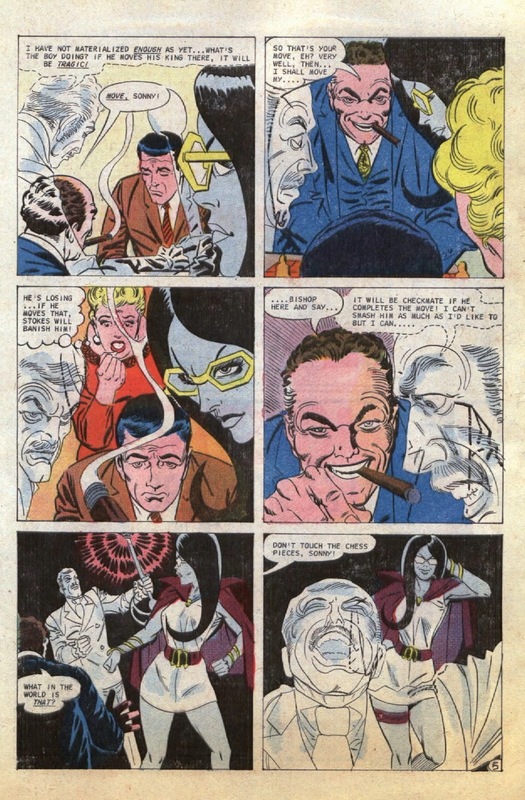 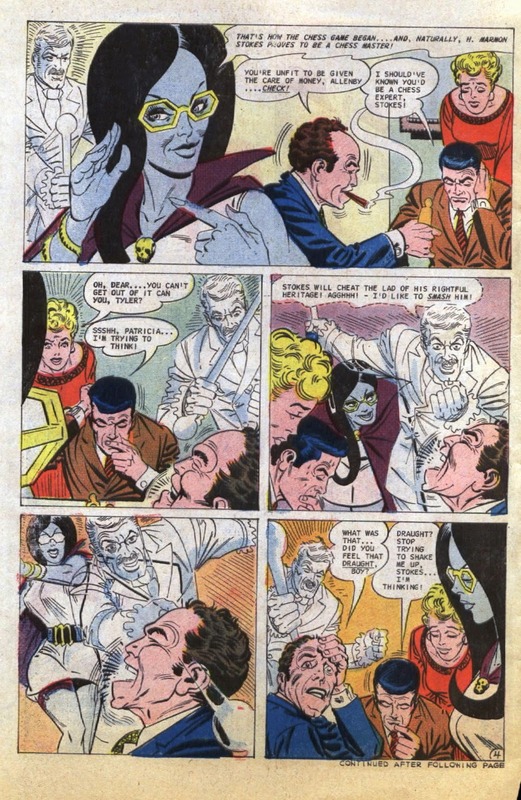 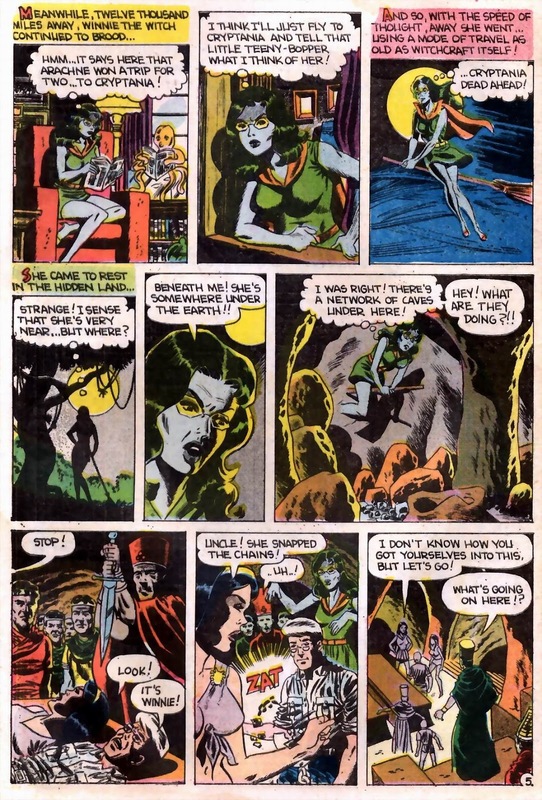 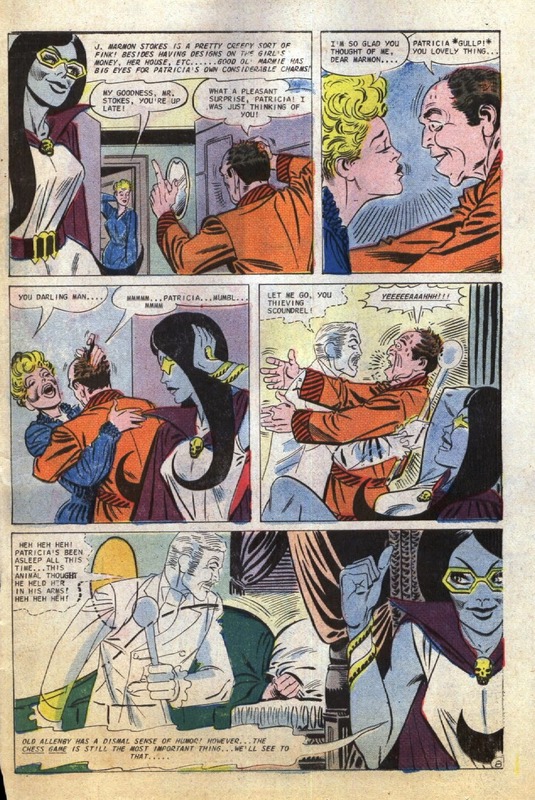 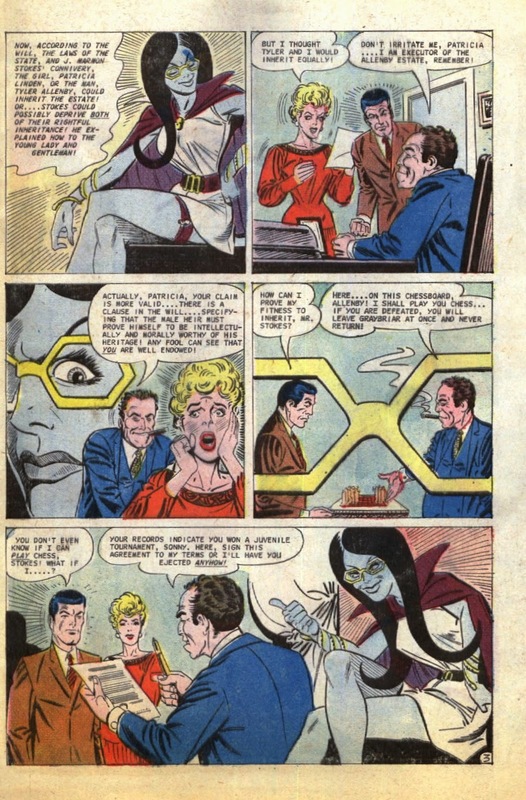 Take, for instance, her first appearances here from Steve Ditko and Pat Boyette. 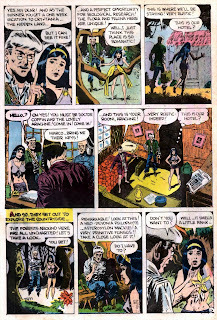 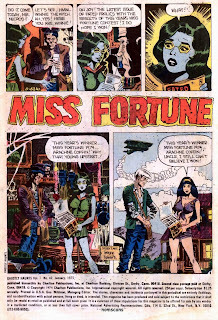 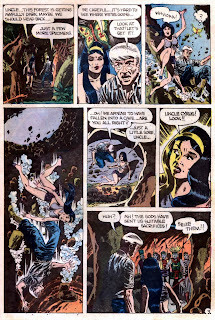 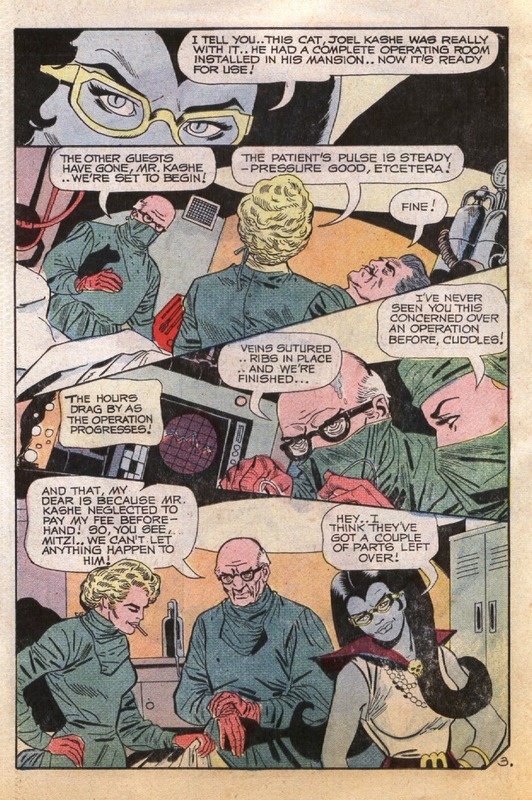 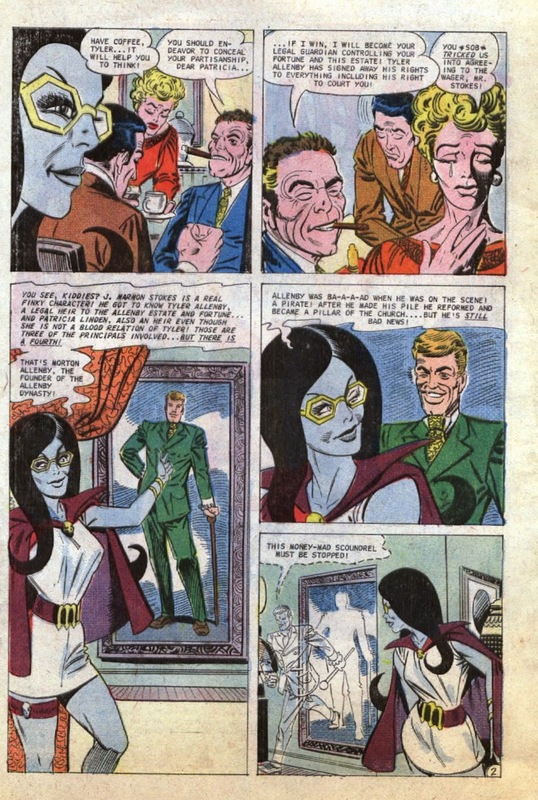 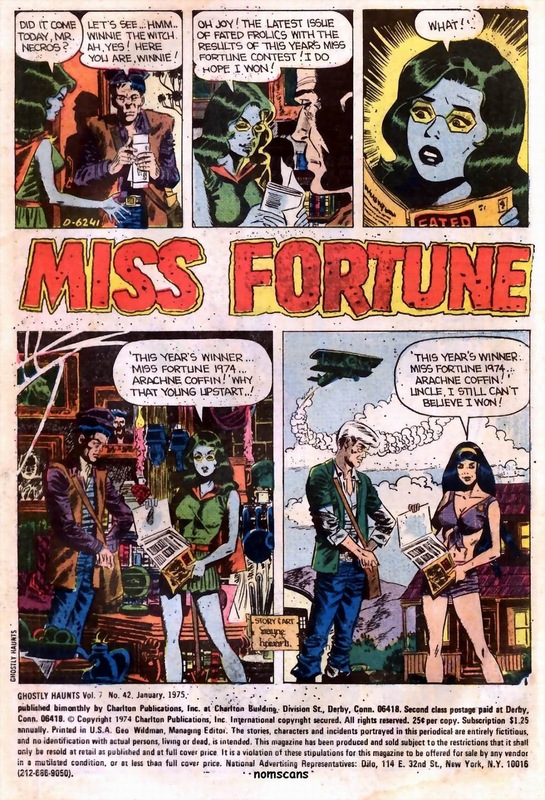 As well as a rare starring role for Winnie, and a just as rare team-up for the Charlton horror hosts as she hangs out with Midnight Tales' Professor Coffin & Arachne. 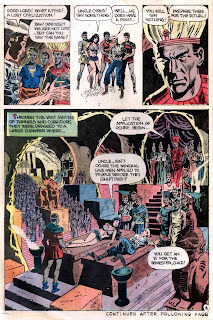 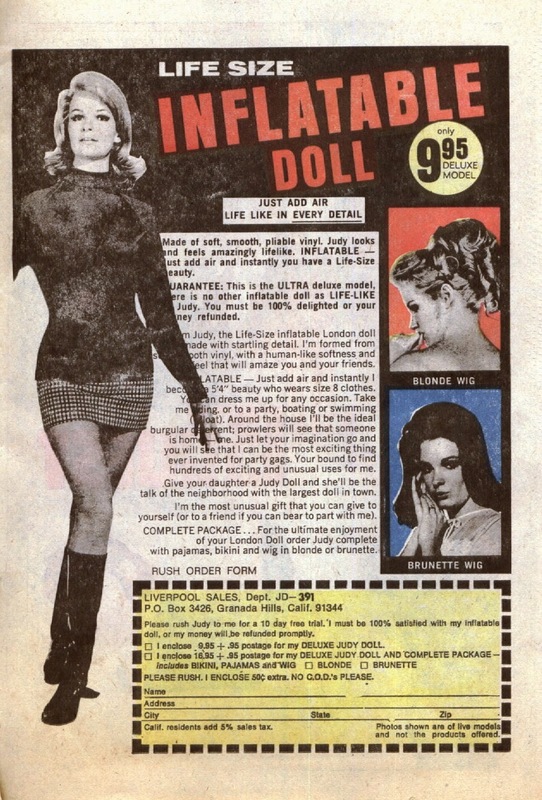 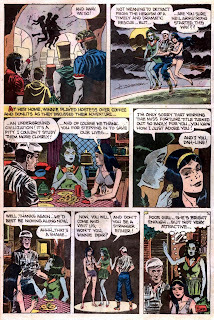 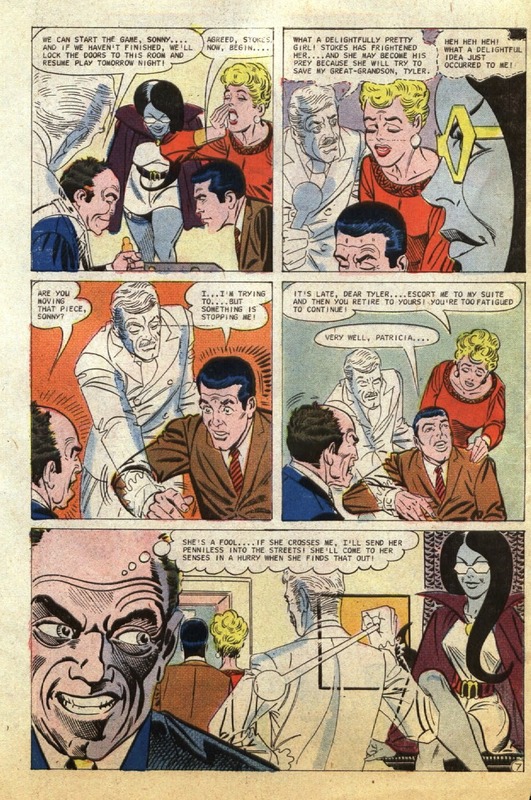 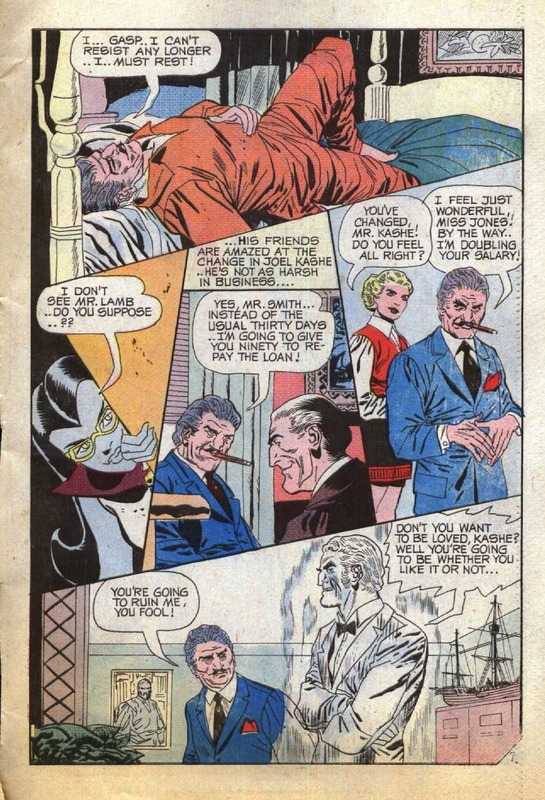 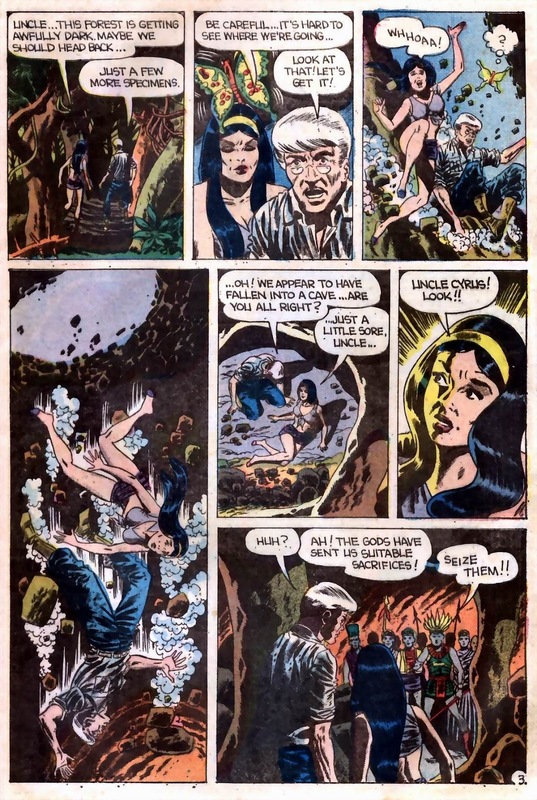 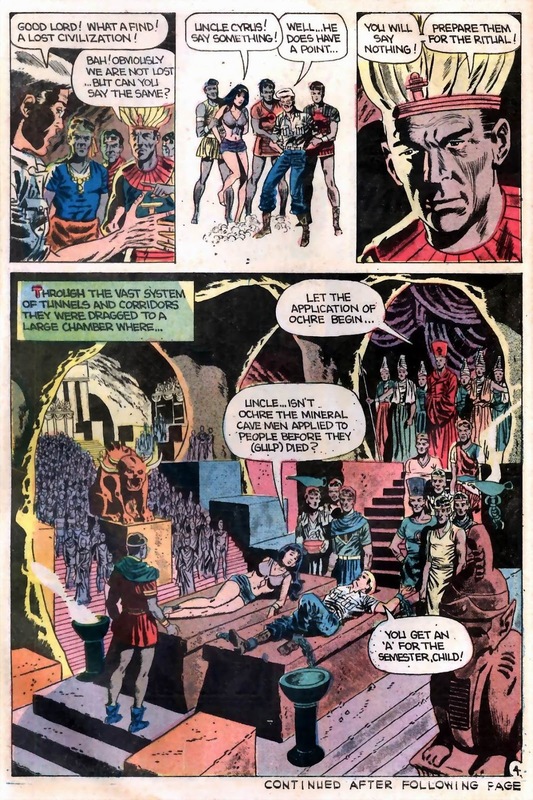 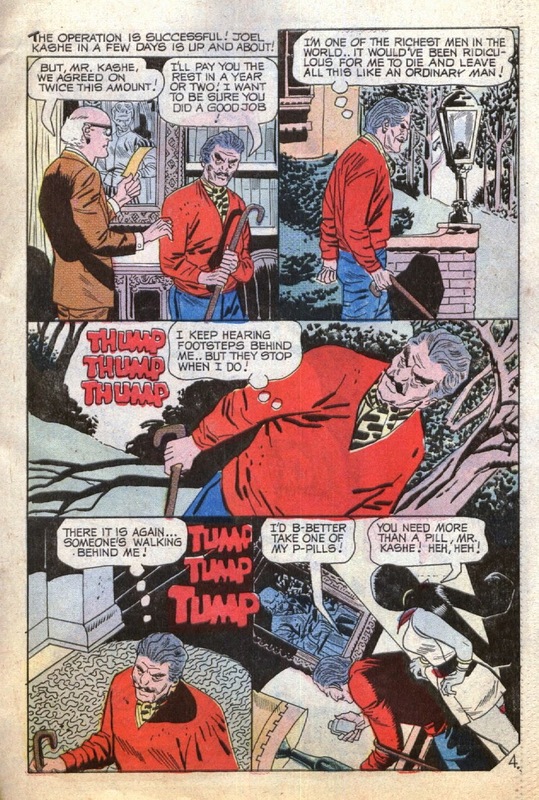 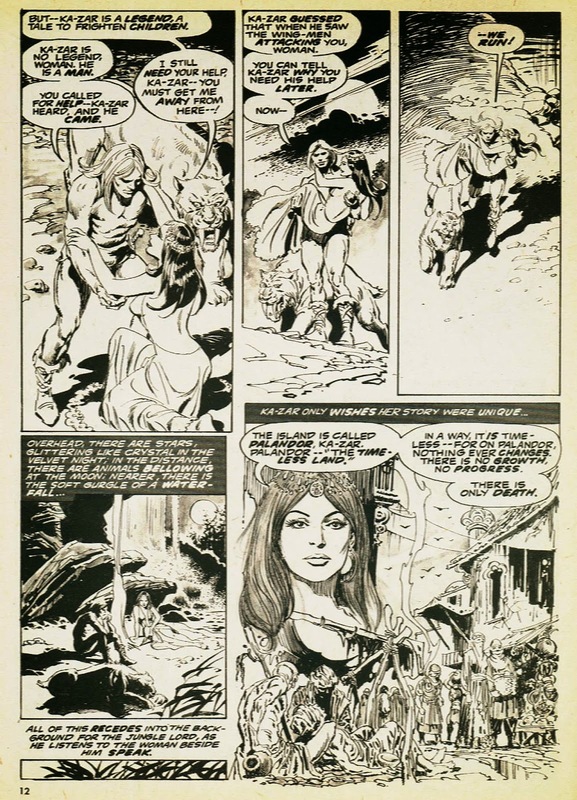 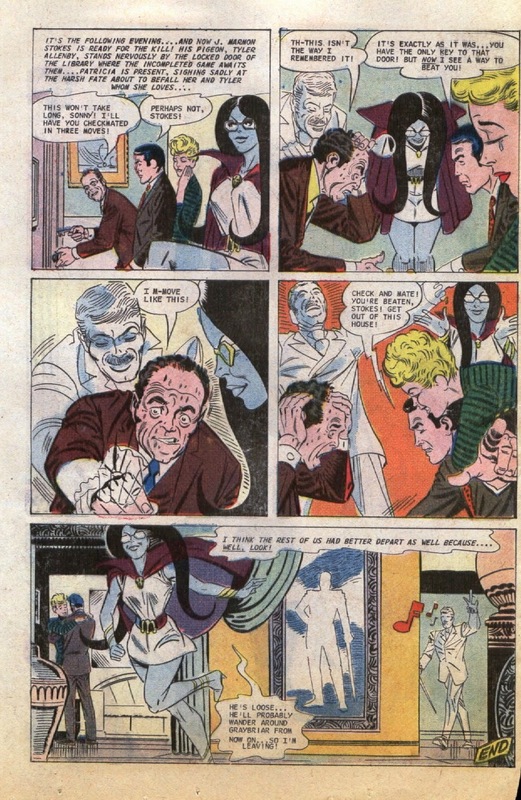 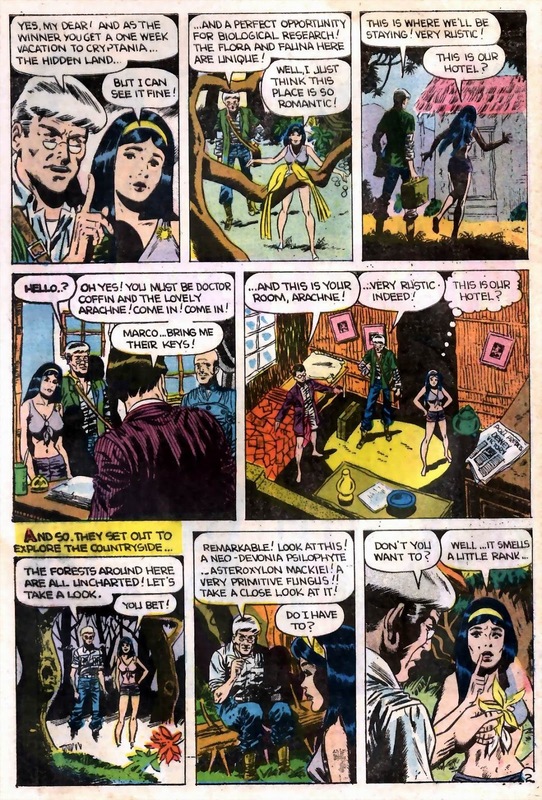 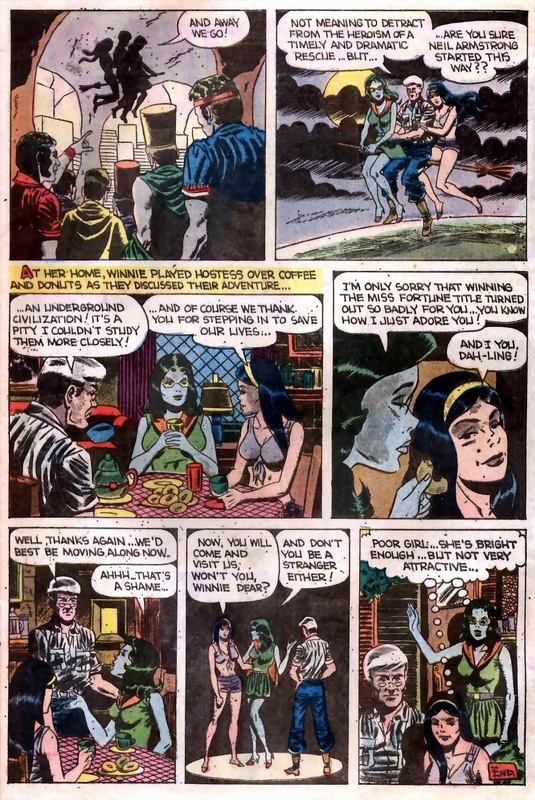 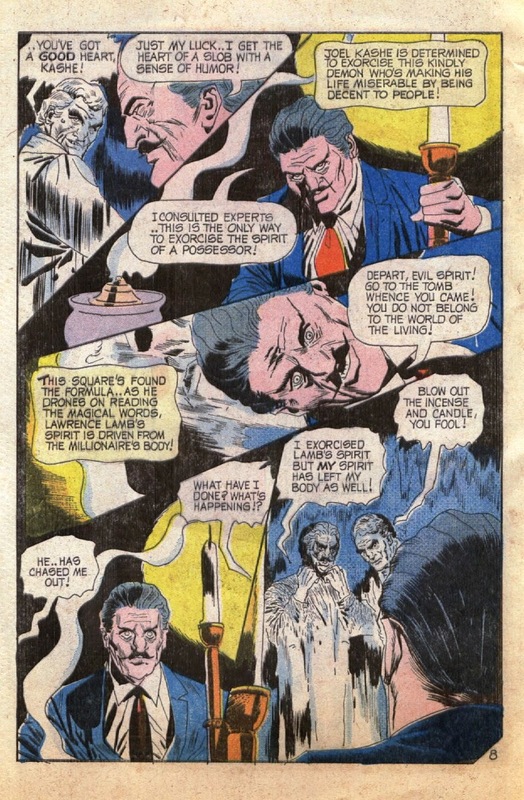 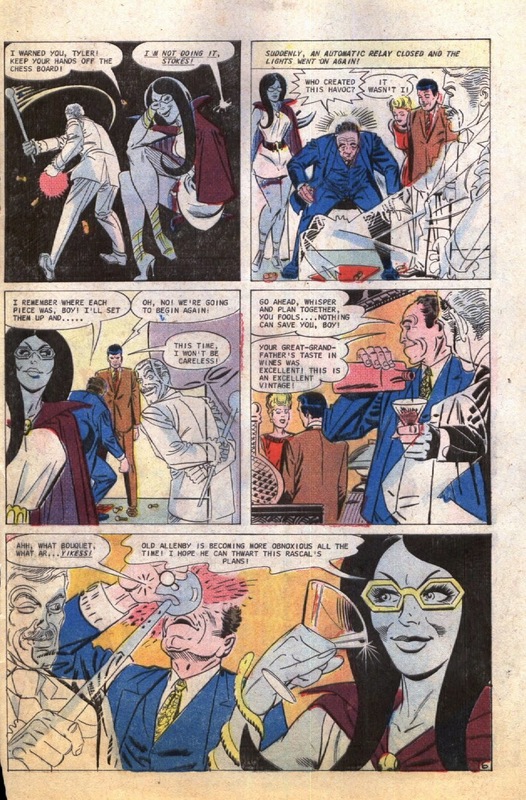 Note also here, the strangest Bronze Age ad ever run in any comic of the time, far creepier than any of the stories, and one that Winnie probably should've introduced as well.